One play focuses on Native American law students who are grappling with the issue. That’s Mary Kathryn Nagle, a lawyer, playwright, and citizen of the Cherokee Nation of Oklahoma. She was studying environmental law at Tulane University in New Orleans when Hurricane Katrina hit. She saw the connection between the storm and climate change which can cause stronger hurricanes. And she says people have destroyed many coastal wetlands that once served as storm buffers. But Nagle still hopes people can change. She wants to create a cultural shift by telling stories about environmental injustice. For example, she wrote a play set during hurricane Katrina. It follows two Native American law students who grapple with the causes and effects of climate change in their communities. Image graphic: Created by David McCarthy. Background image: Courtesy of Mary Kathryn Nagle. 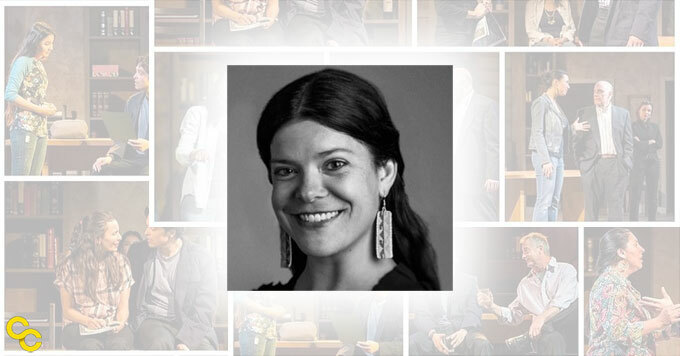 Editor’s Note: Mary Kathryn Nagle is the founding executive director of Yale University’s Indigenous Performing Arts Program.